Mark Fields, president and chief executive of Ford Motor has inaugurated their second Indian factory at Sanand, Gujarat which will be made at an expenditure of Rs 6000 crore ($1 billion). As part of Make in India vision, Ford has decided to triple their exports from India. As per reports coming in, this new factory will manufacture engine and body parts for their compact SUV Ecosport and Hatchback Figo series of their cars, along with stamping, body, paint and assembly operations for vehicle engineering. The factory is spread across 460 acres. After this new factory starts operations, Ford will be able to produce 610,000 engines and 440,000 vehicles in a year, which is almost double of what they currently manufacture. As of now, their Chennai factory manufacturers 60,000 – 70,000 units annually, and exports to 35 countries; for the next 12 months, they have plans to expand their exports to 50 countries. During the event, Mark shared several interesting facts about Ford’s business plans in India. For instance, they have invested Rs 12500 crore ($2 billion) as of now in India, and the new factory will provide employment to 2500 people. 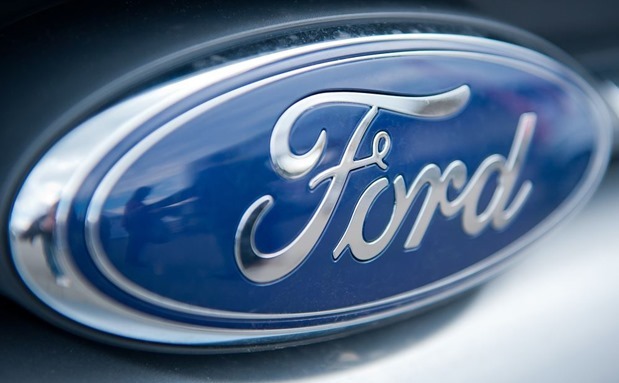 By the end of 2015, Ford will have 14,000 employees in India. Having an optimistic view, Ford expects that the car market in India will double by the time 2020 ends. Mentioning how Make in India drive pulled in Ford into making more investments, he shared that when they met PM Modi few days back, and asked how Ford can help India, PM replied, “I would appreciate if you could make India a good export hub for Ford.” As per Mark, this was the turning point in their decision to start a new factory and plans to triple their exports from India, thereby cementing ‘Make in India’ vision and taking it to another level. Despite being in the India market for the last two decades, Ford hasn’t been able to make profits which they were expecting. Compared to 81,564 units sold in India in 2013, they managed 77,140 units in 2014. Although their exports from India increased to 76,981 units during the same period, sales to Indian customers have been dismal. India, which is world’s 6th largest car market is poised to grow between 6-8% this year. If we compare, then Maruti was able to sell 80,000+ units in December alone. But if we observe the safety measures undertaken by them, then even Ford didn’t pass the crash test. Make in India vision has been attracting global biggies into India, and encouraging them to start manufacturing inside the country. Earlier this month, we had reported that Samsung and Sony are about to start manufacturing in India. Government of India has also eased labor laws which will help industrialists and foreign companies to start business in India.